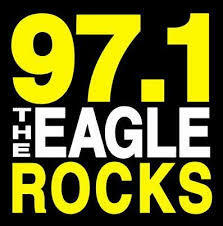 If you’ve been listening to the radio lately, you may have heard DFW Security on The Eagle 97.1. Dan O’Malley from The Russ Martin Show has one of our Smart Security systems in his home. He often talks about how he uses his system and the connected Home Automation features on air. Like many men, he feels good knowing his family is safe and secure, but he really enjoys being able to control his system on his phone, and especially likes how he can see what’s going on at home even when he’s not there. Everybody loves our all-in-one mobile app. You don't need a separate app for every system in your home. Connect and control everything quickly and easily from your smart phone, tablet, Apple watch or even with Alexa or Google Home. A lot of homeowners with basic security systems complain that they always forget to arm their alarm system when they leave home. A smart security system can send a reminder when you get a certain distance from home. 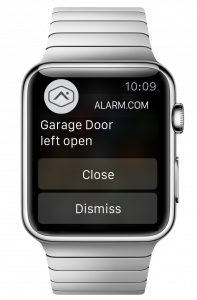 Then you can set it with one touch, right from the alert on your smart phone. Other helpful reminders are when you forget to close your garage door, or leave a door open accidentally for more than a set number of minutes. It can even remind you to lock your door when you’re away from home. It shouldn’t be hard or expensive to keep your home comfortable, even with our crazy always-fluctuating Texas weather. 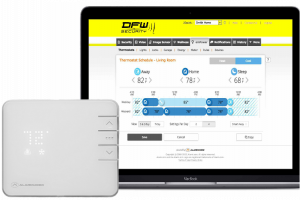 As you’ve heard about DFW Security on The Eagle, we can help you spend less on heating and cooling your home with smart thermostat automation. -Set your temperature range and your smart thermostat will automatically switch between heating and cooling as needed. -Turn on GEO Services and you can create settings for when you’re home, away, when Mom’s home, but Dad’s not, when the kids are home alone – whatever. -Because your system is linked to the GPS location of your phones, it knows who is home – and can automatically adjust according to the rules you establish. Doorbell Cameras are popular today, but did you know a doorbell camera from DFW Security can do more? Because the doorbell camera is integrated with a smart security system, you can not only talk to whoever is on your porch, but you can also lock or unlock your door, and arm or disarm your security system – all from the same screen, and all in the same app. If you have an existing alarm system in your home, as long as it is working and compatible, we can provide professional 24/7 alarm monitoring for only $12.95 with a landline. Now wonder they're talking about DFW Security on The Eagle!